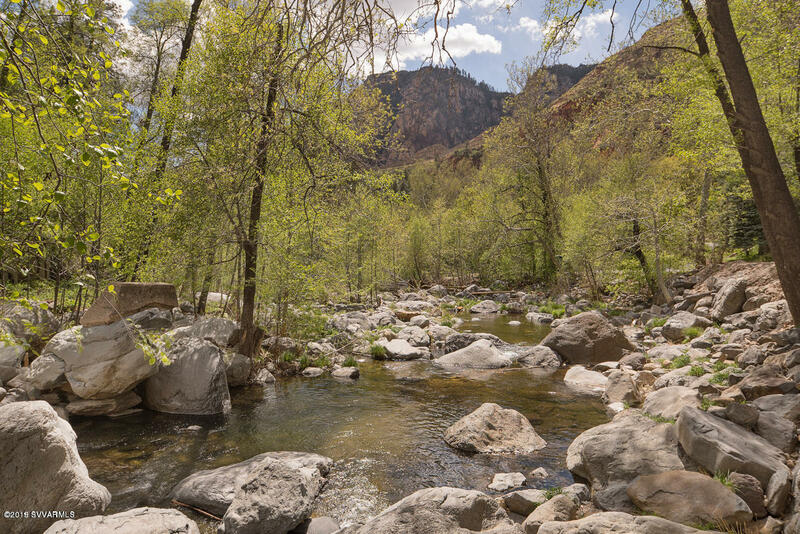 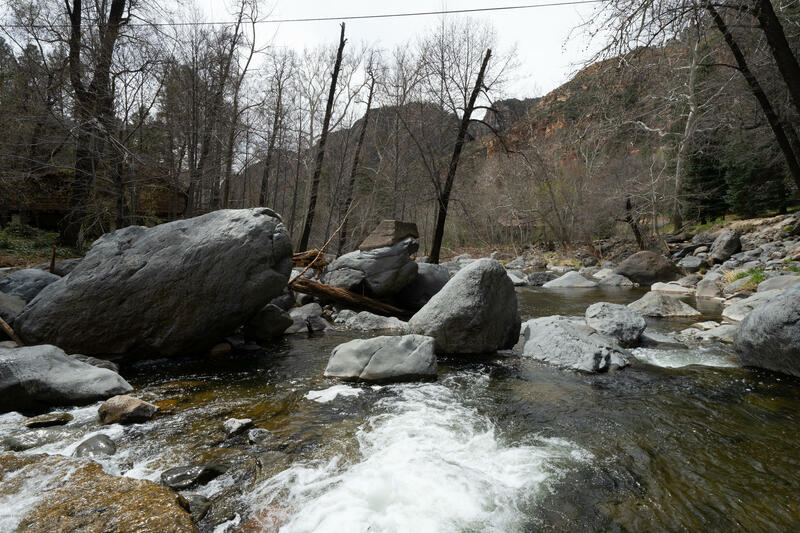 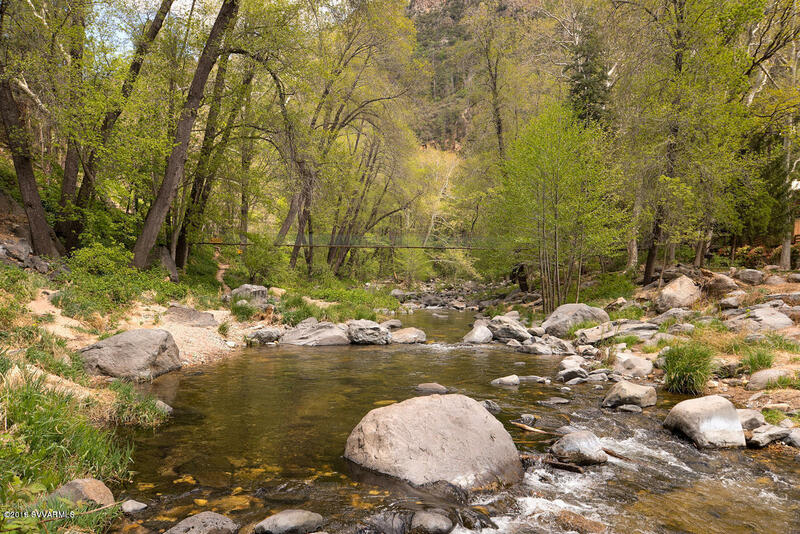 Directions: From the ''Y'', travel up Oak Creek Canyon 8.1 miles and turn left at drive immediately past the Table restaurant. 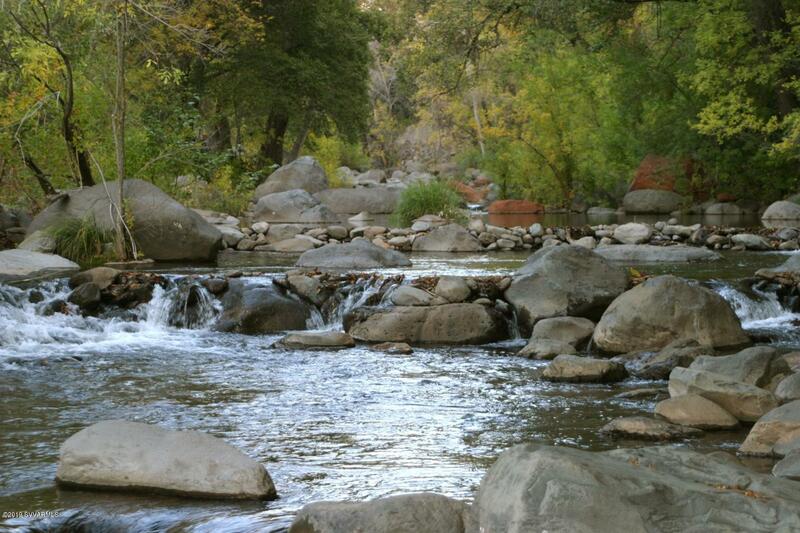 Drive through Junipine Resort and cross low water crossing to gated entrance to Junipine Estates. 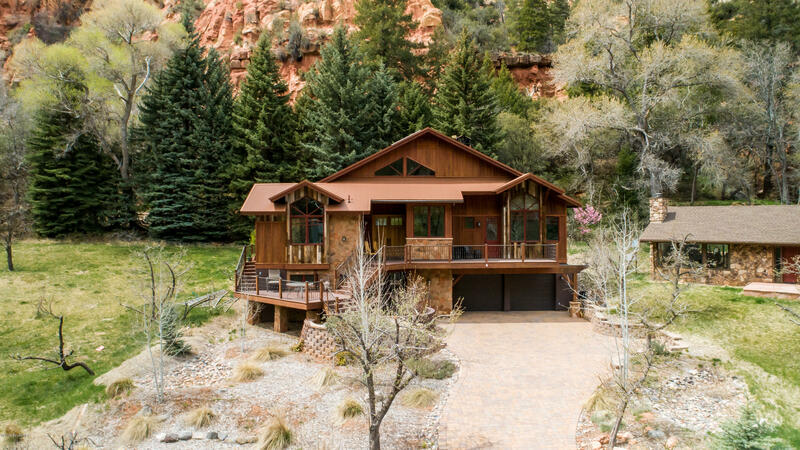 Call office for gate code. Enter and stay right on loop to house on right, backing to National Forest. 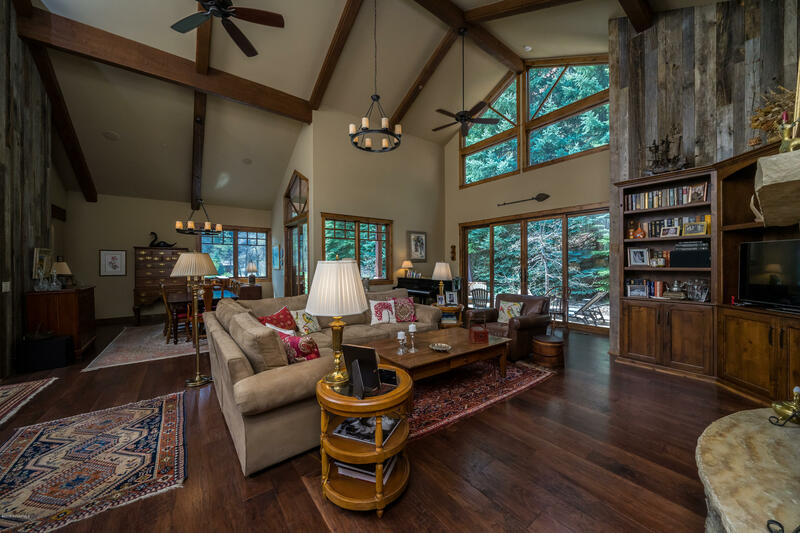 Additional features include: soaring 18 foot ceilings, dramatic stone fireplace, wood floors. 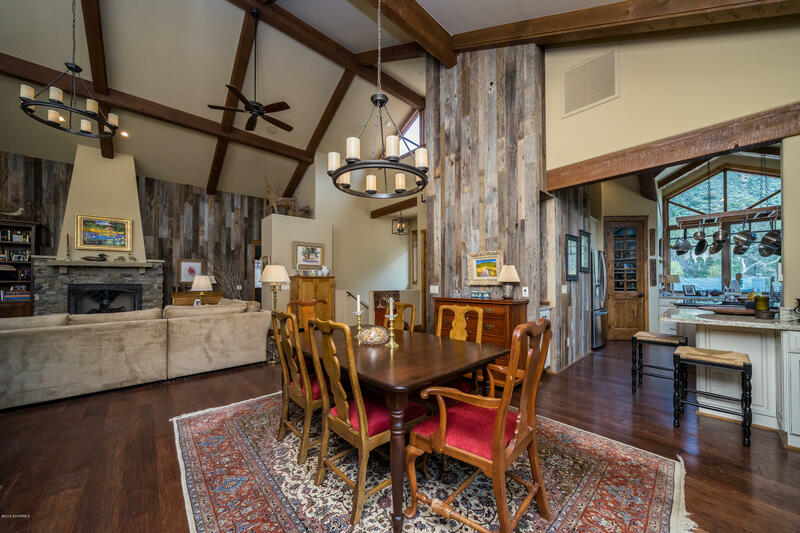 Gorgeous Tennessee Barnwood accents, office with closet; could be a fifth bedroom. 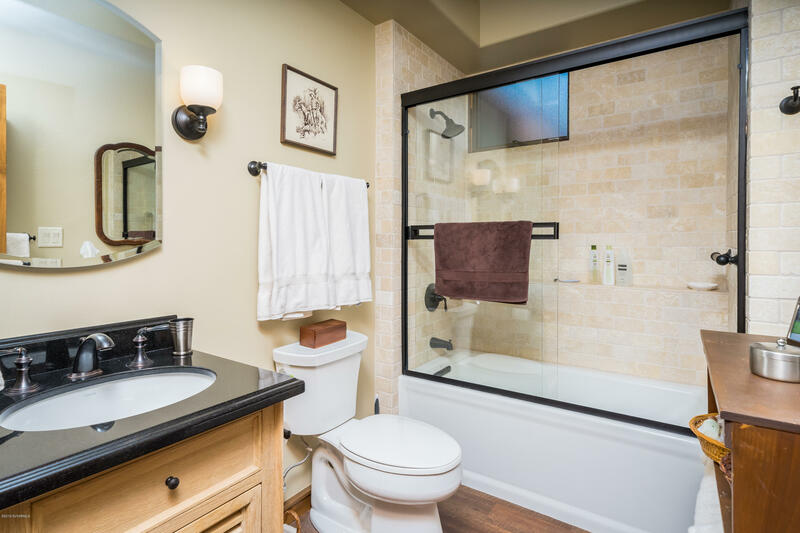 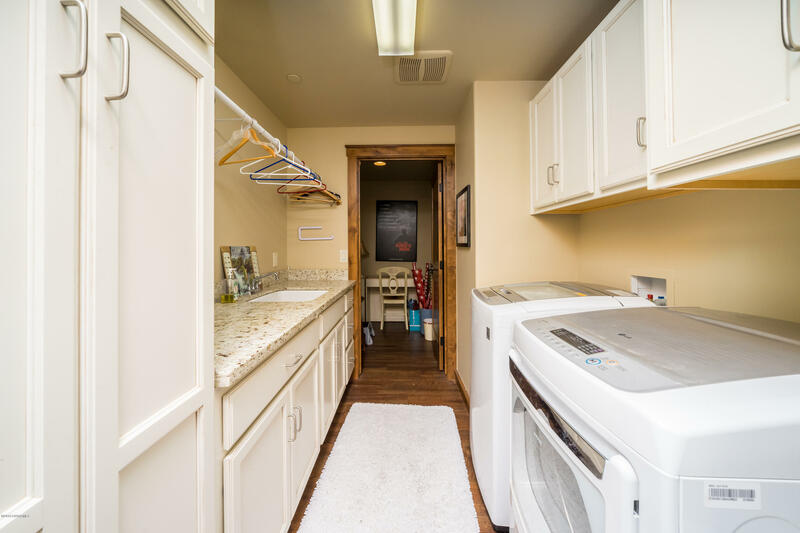 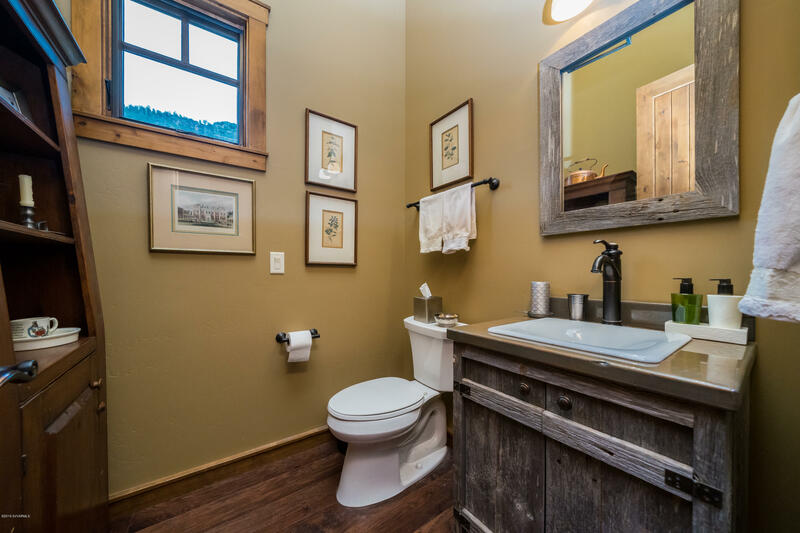 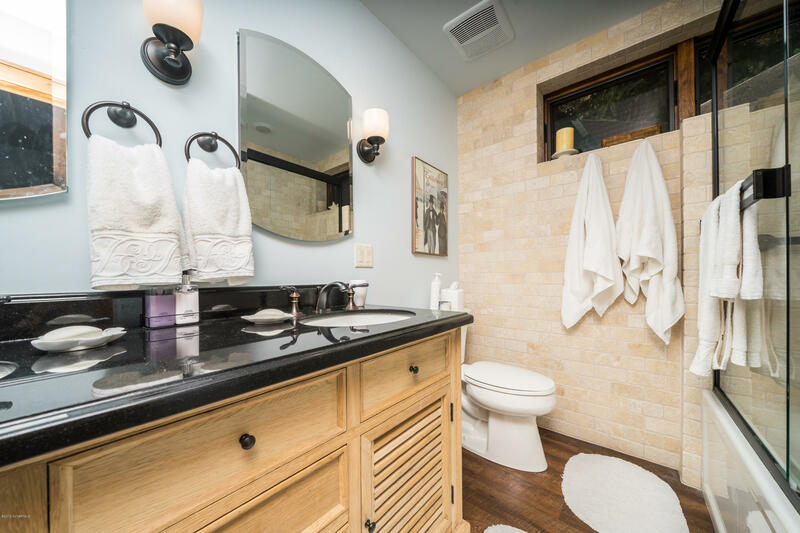 Other amenities: Beautiful marble and granite countertops, dual vanity sinks, private water closet, laundry chute, exterior entrance to office and recessed lighting. 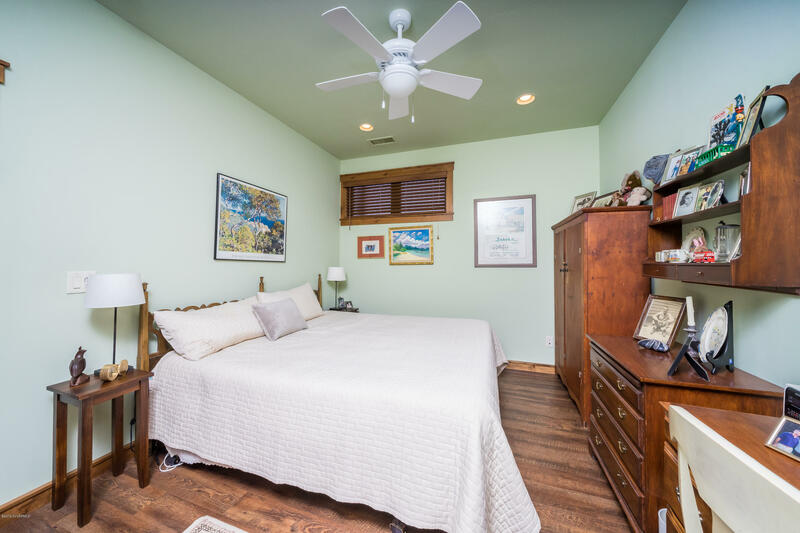 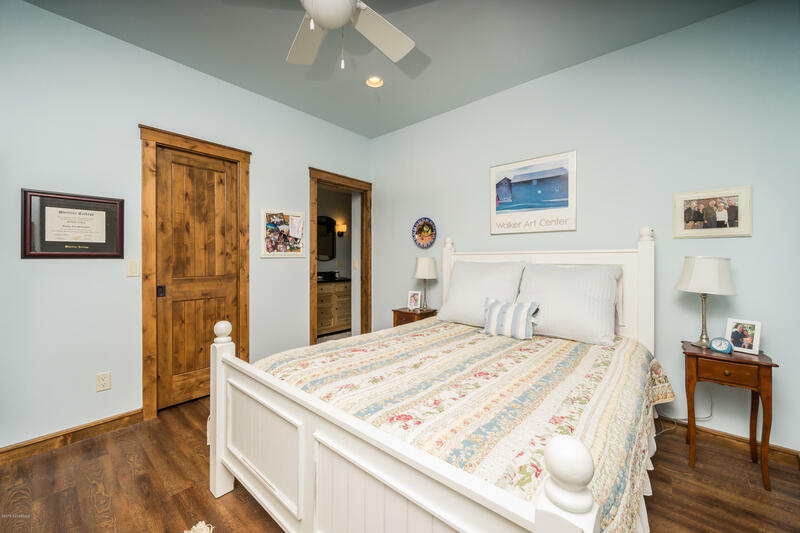 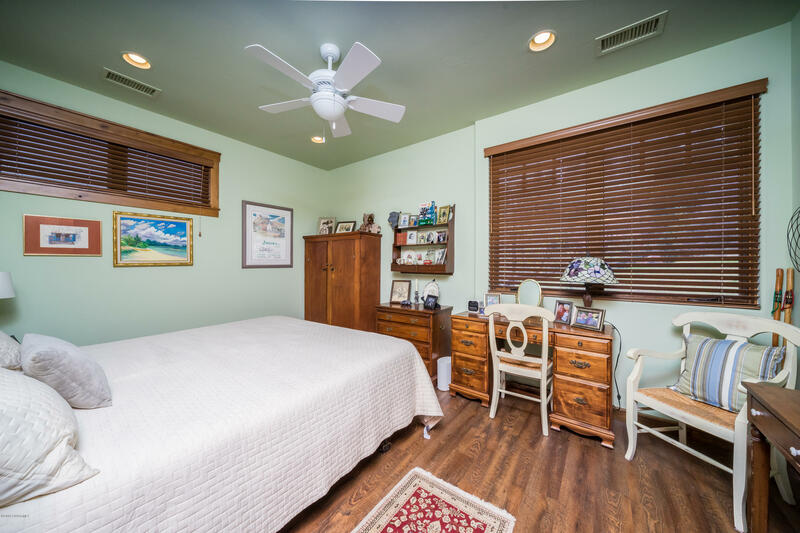 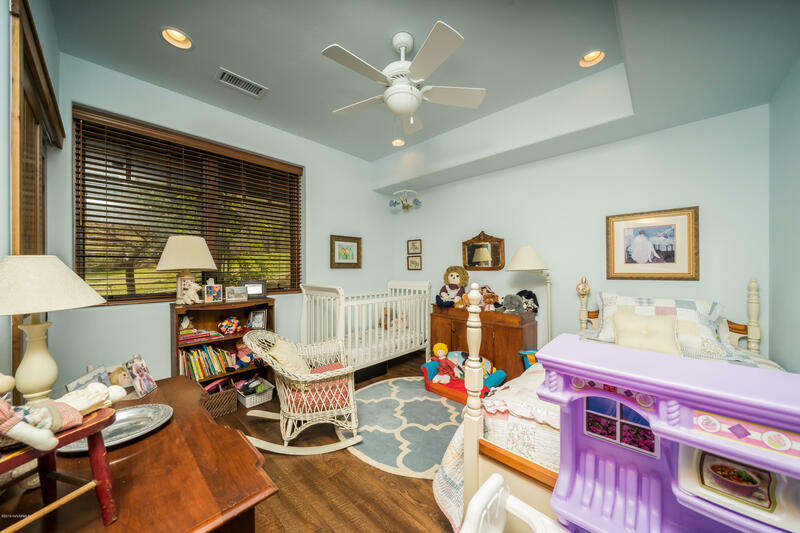 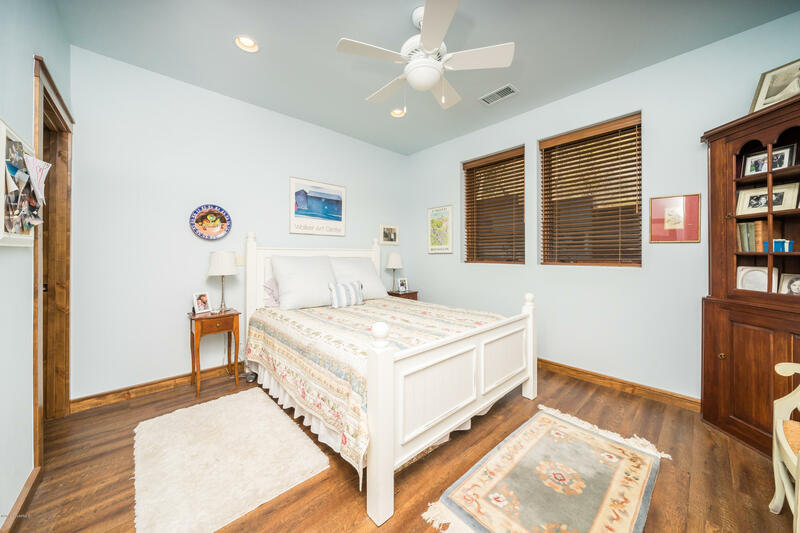 Also included: Windsor, dual pane windows, energy efficient geothermal heating and cooling with insulation package, built in speakers in living room, kitchen, downstairs theater room and outside patio. 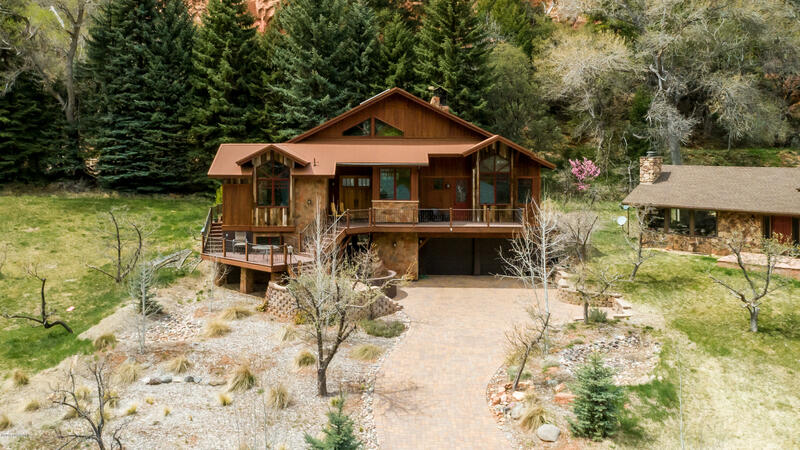 More bonus features: elevator, gas firepit, walk-in pantry, Travertine stone tile, bonus storage, oversized garage with a 220V charging station. 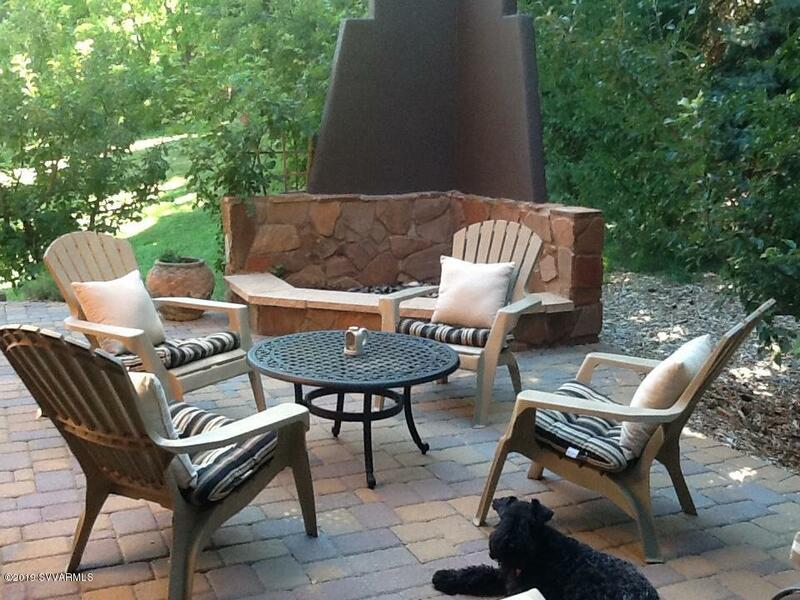 Also: Multi level Trex decking, paver patio, ceiling fans and more. 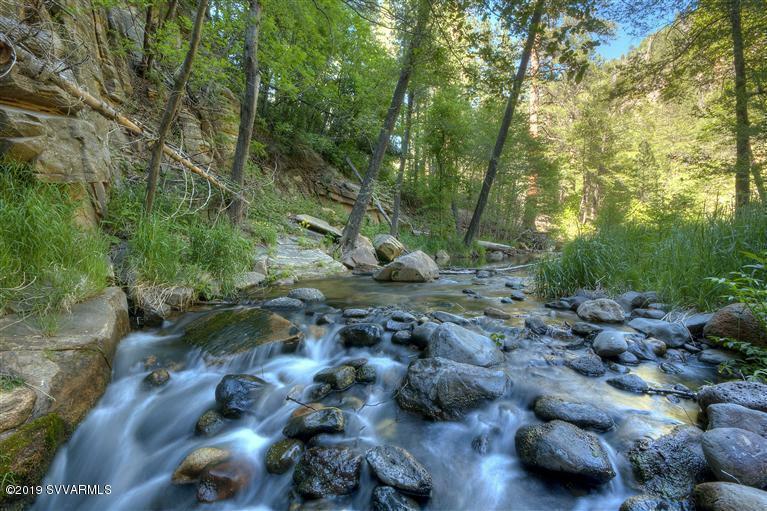 Property backs to National Forest and has creek irrigation available at the lot. 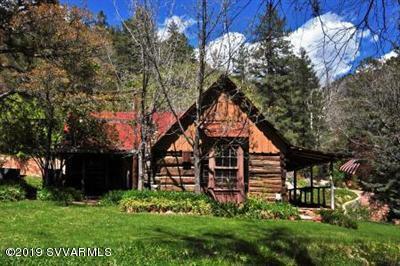 Common guest cabin shared with the other 16 neighbors at the private, gated Junipine Estates. 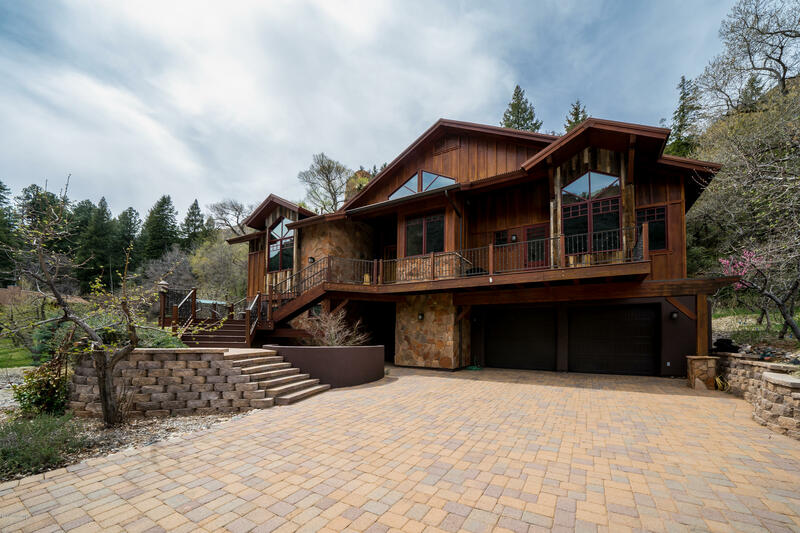 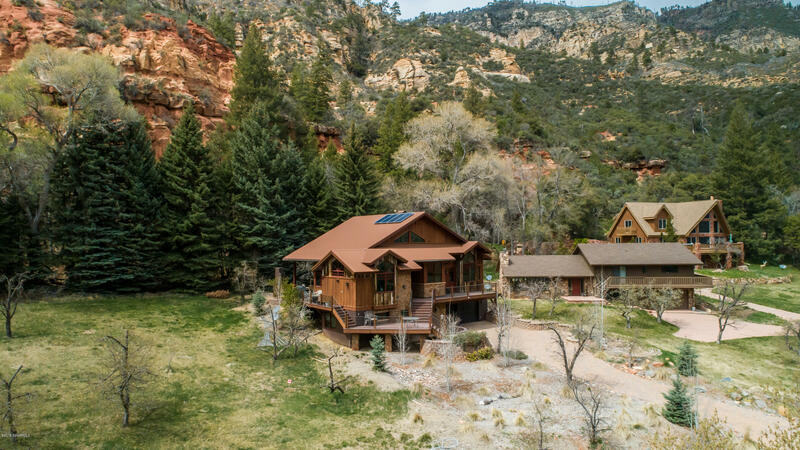 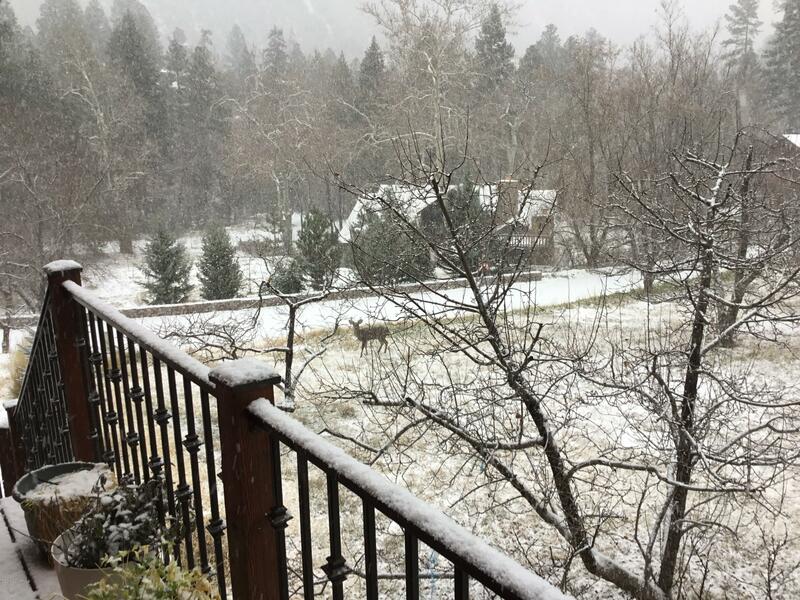 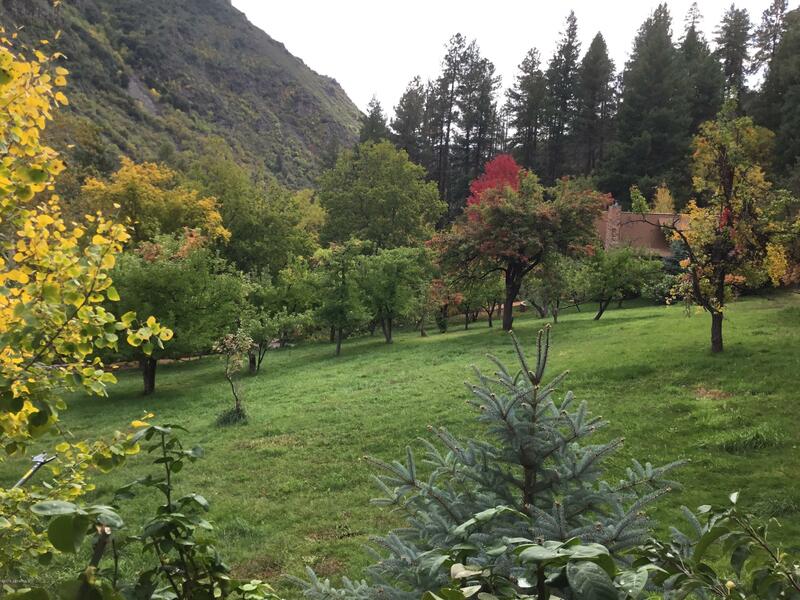 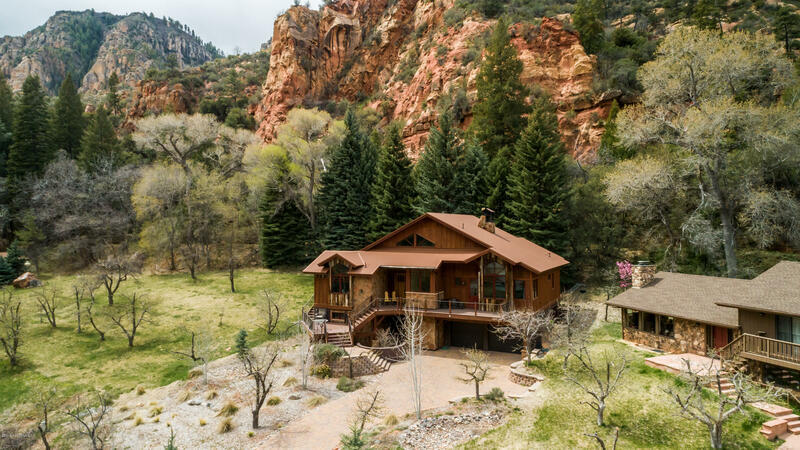 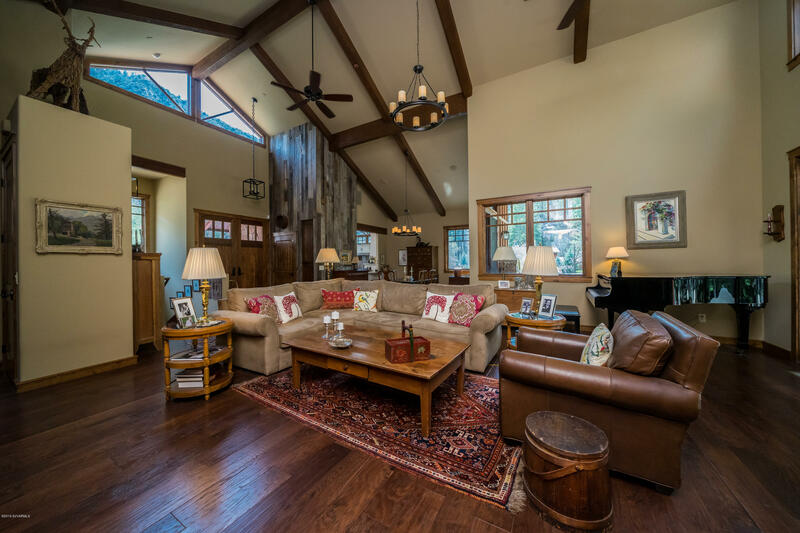 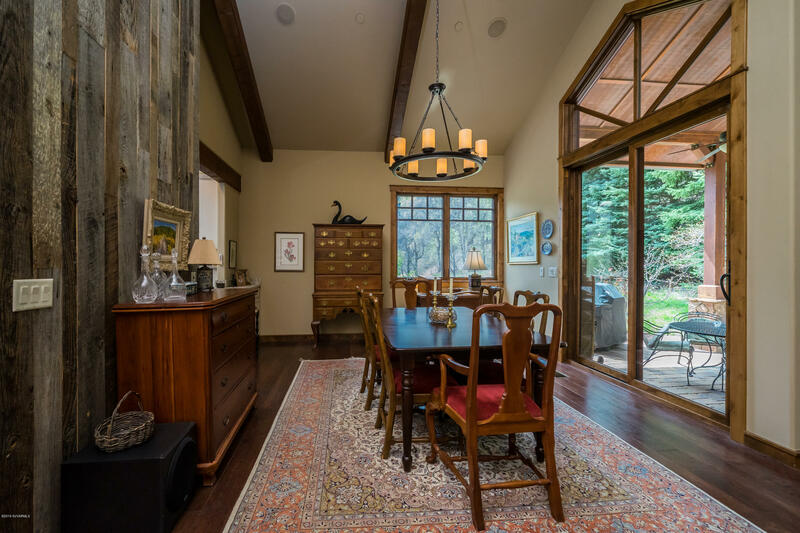 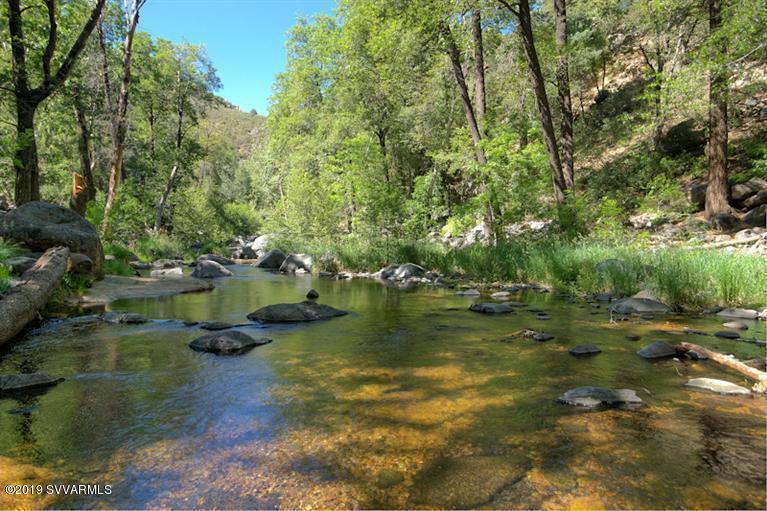 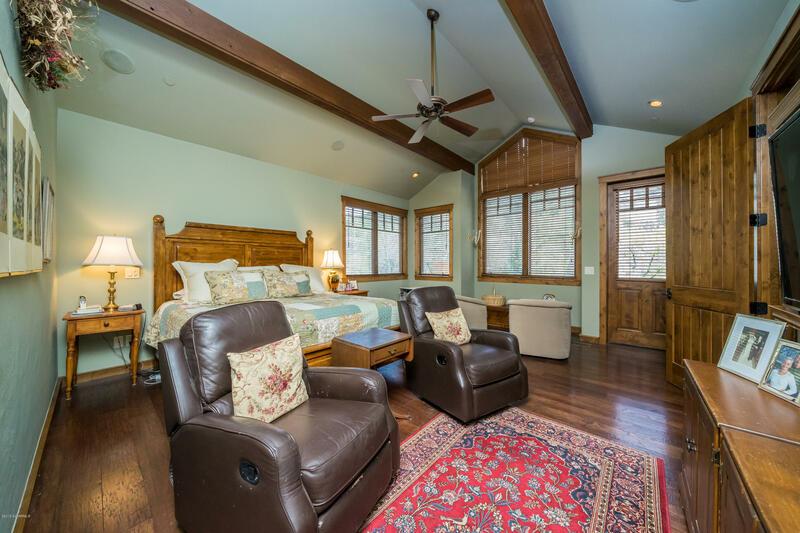 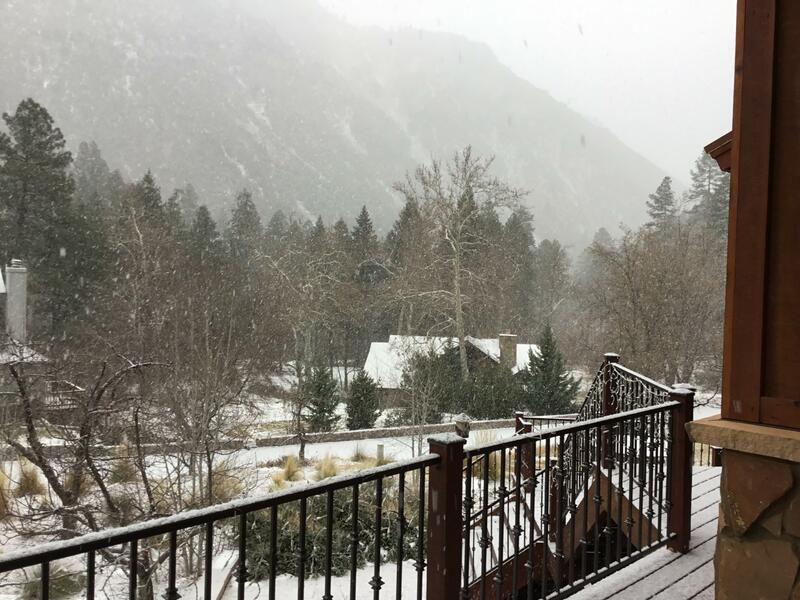 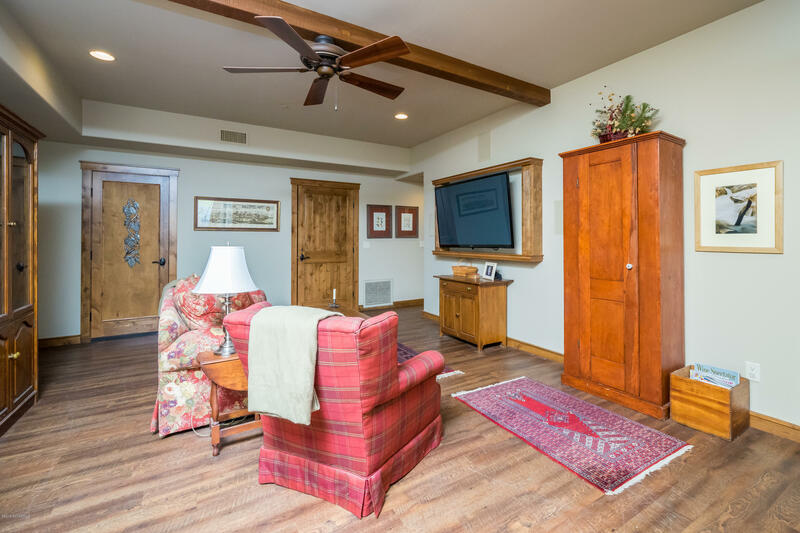 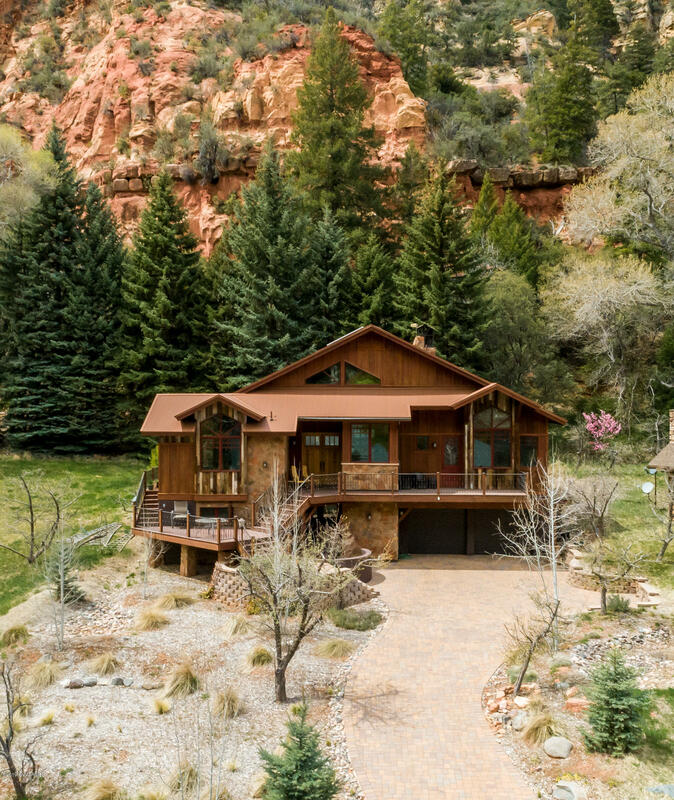 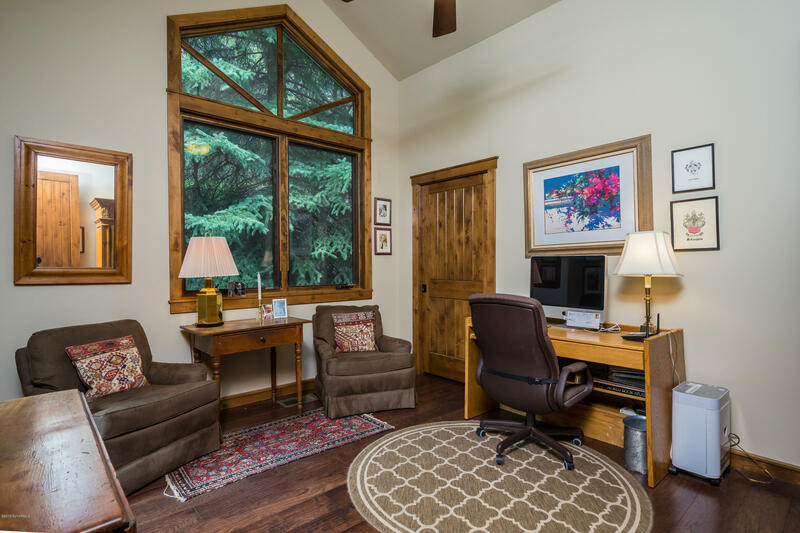 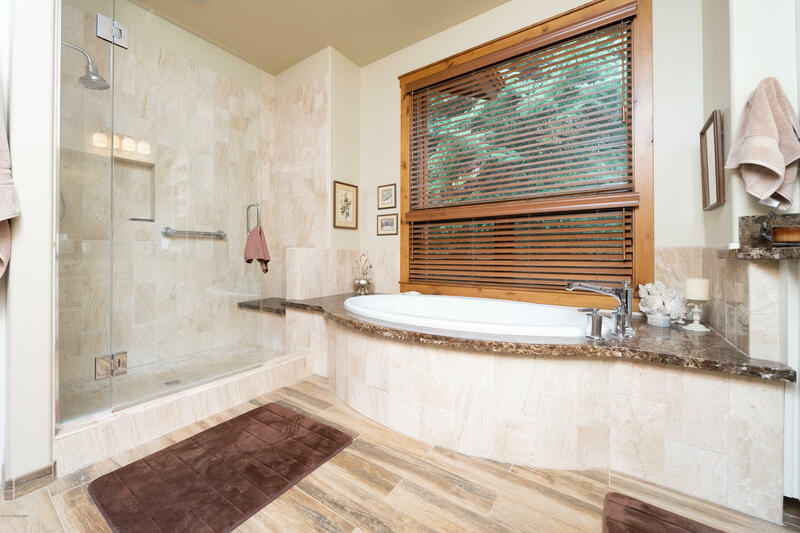 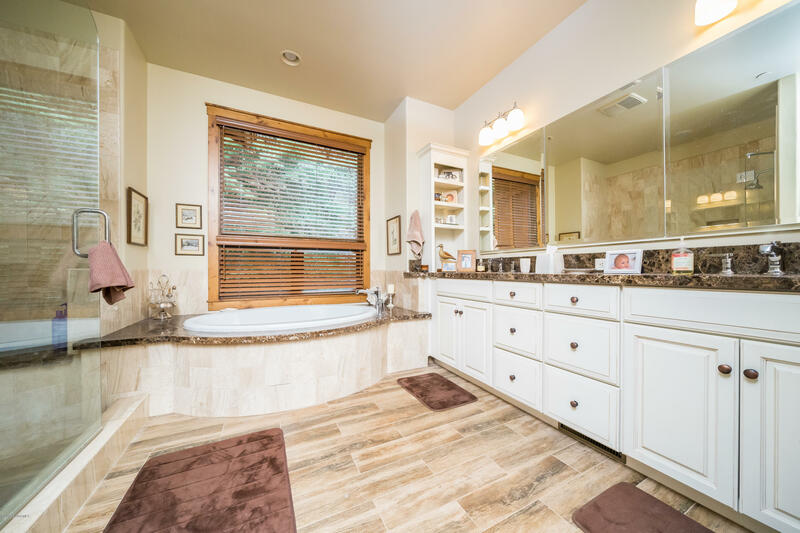 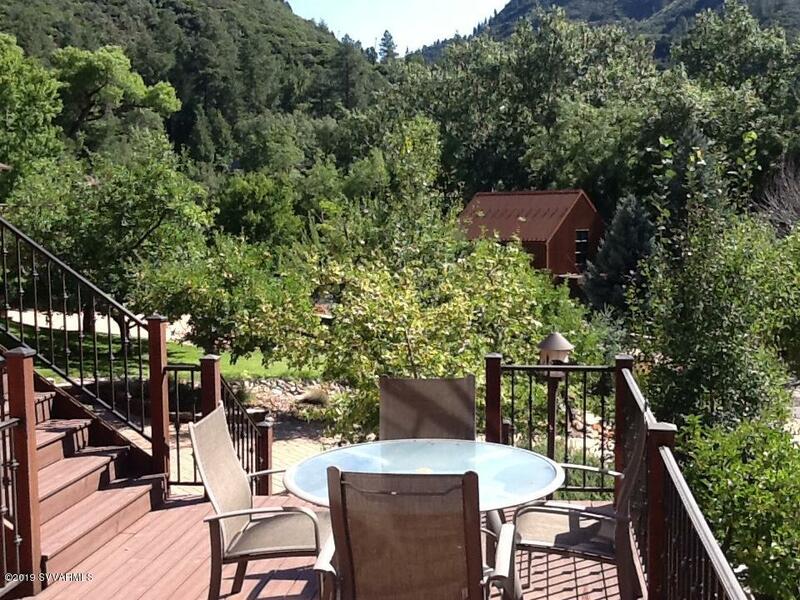 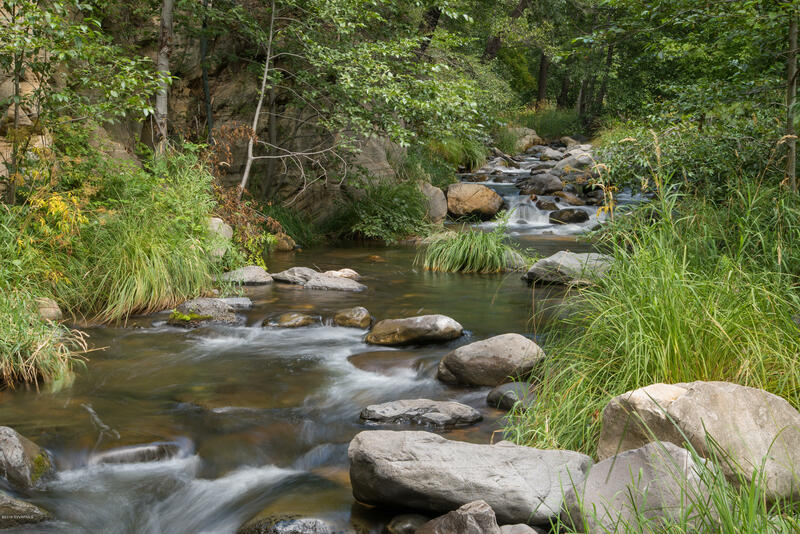 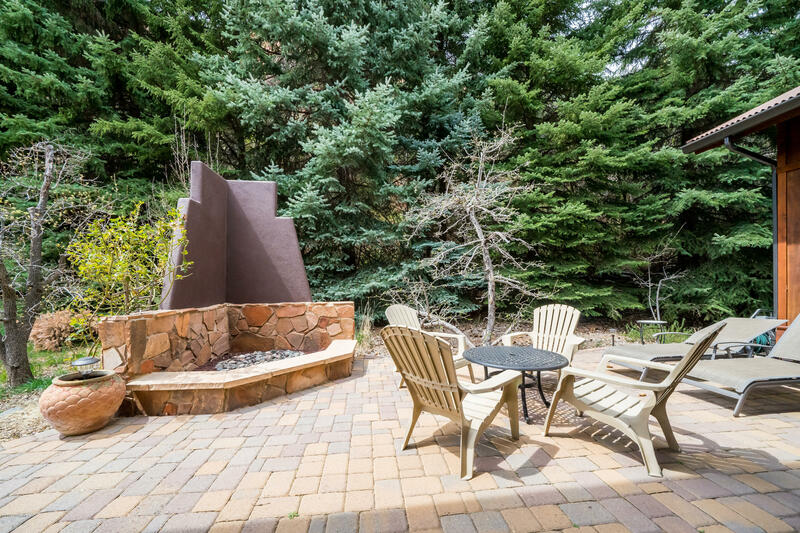 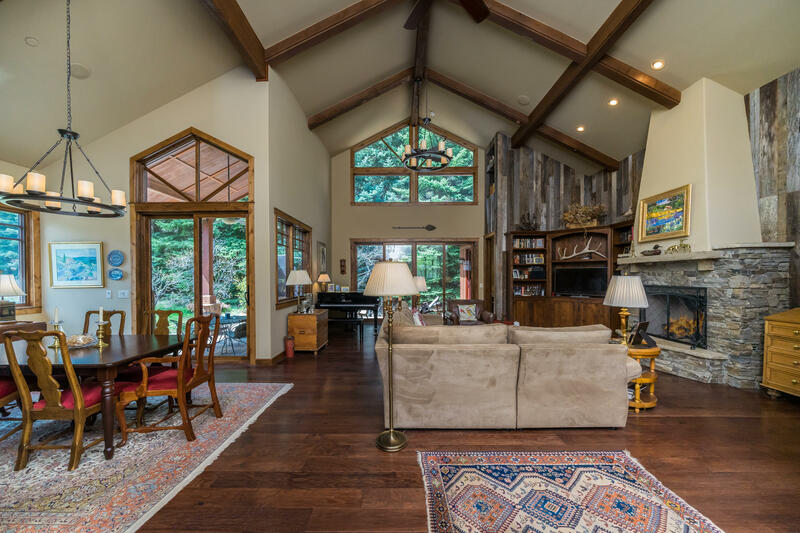 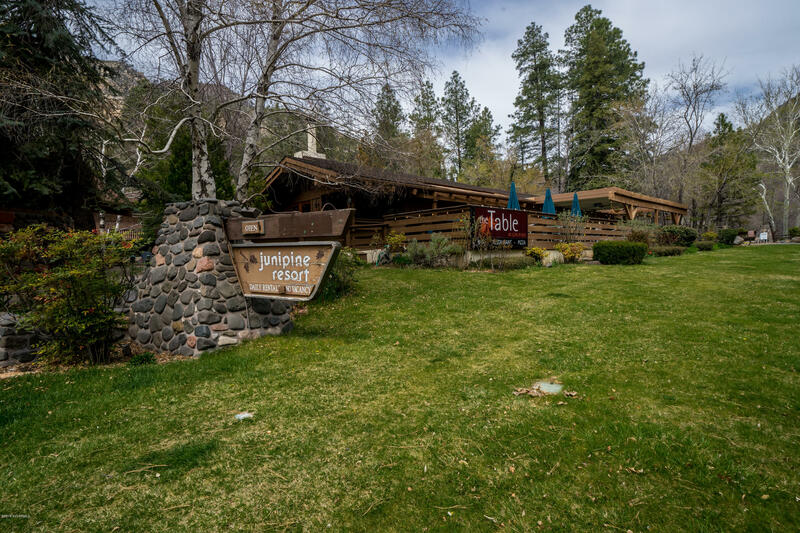 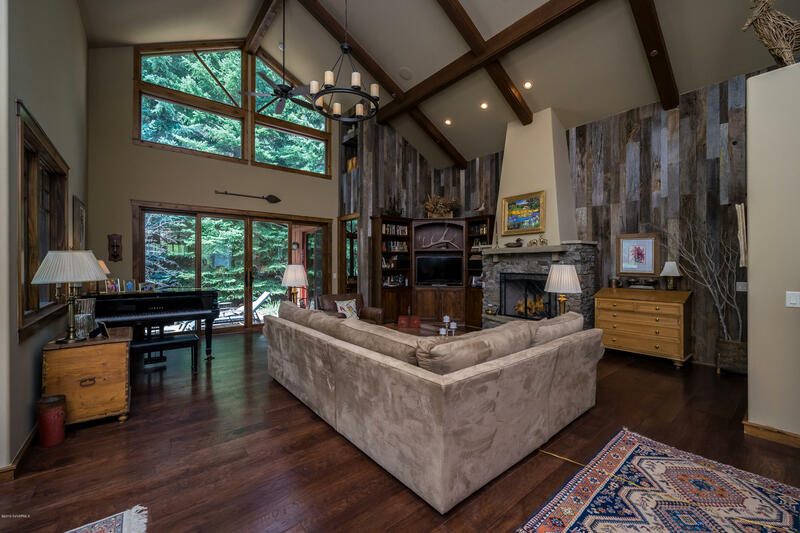 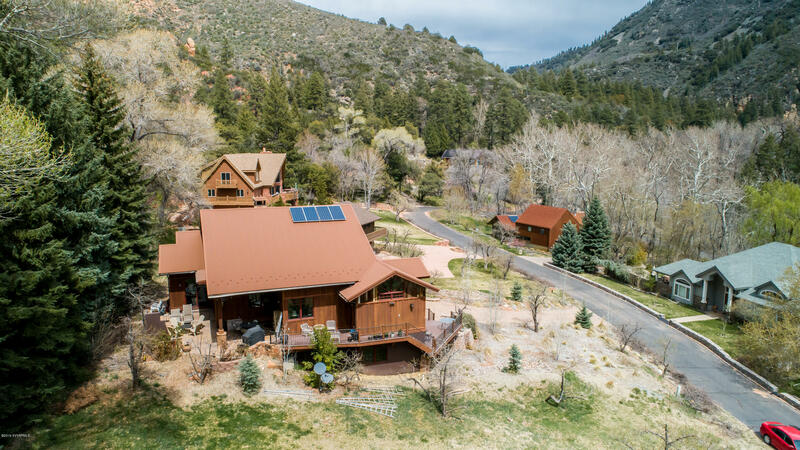 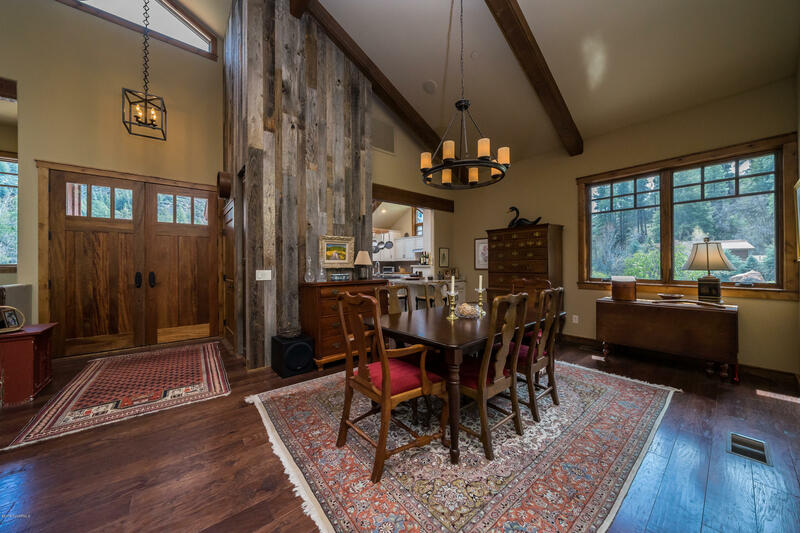 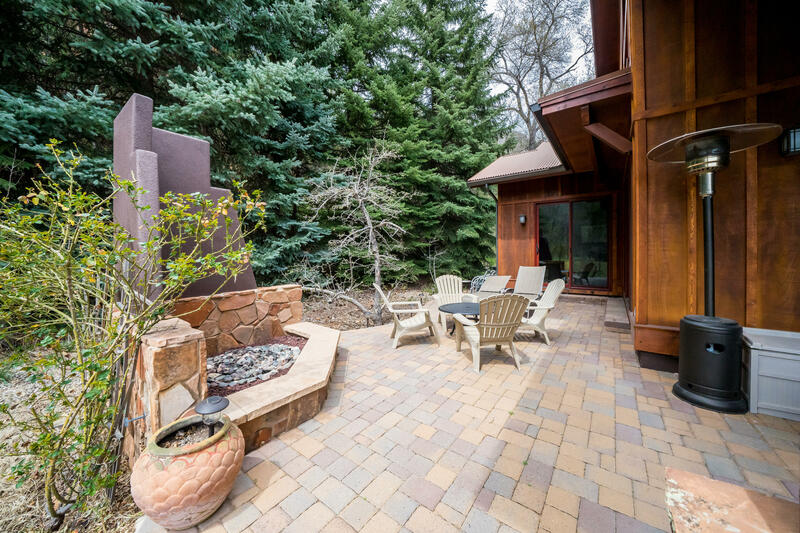 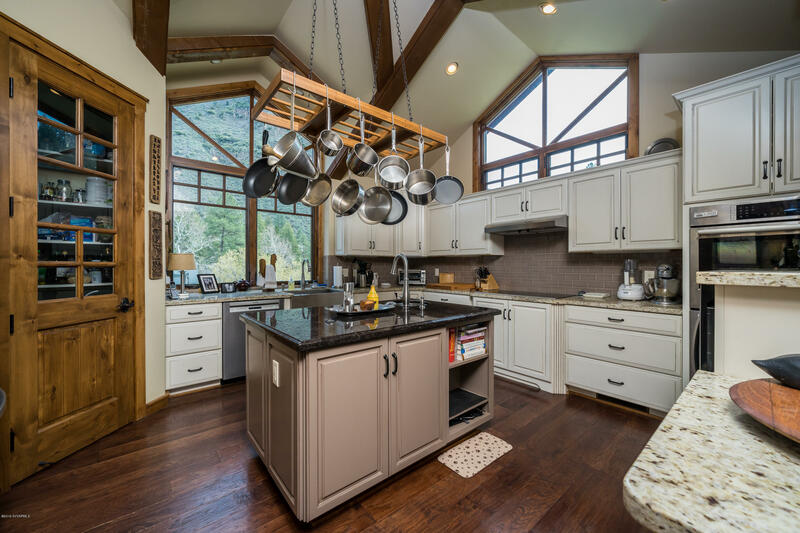 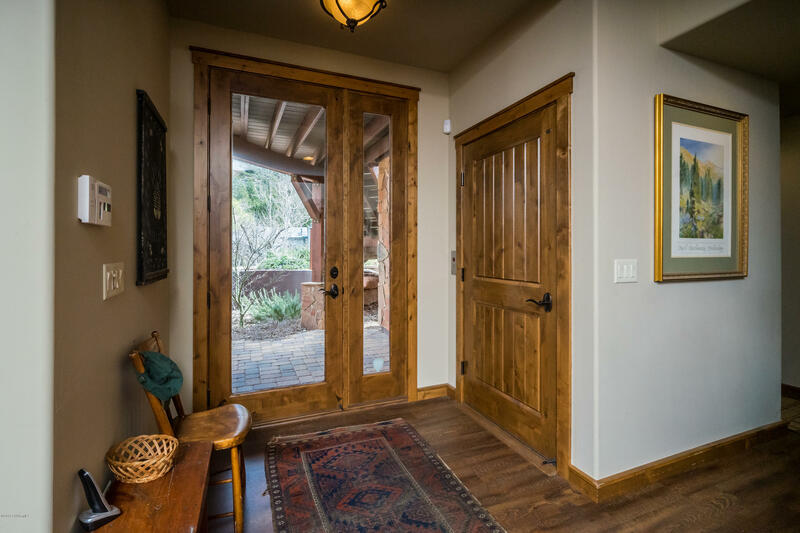 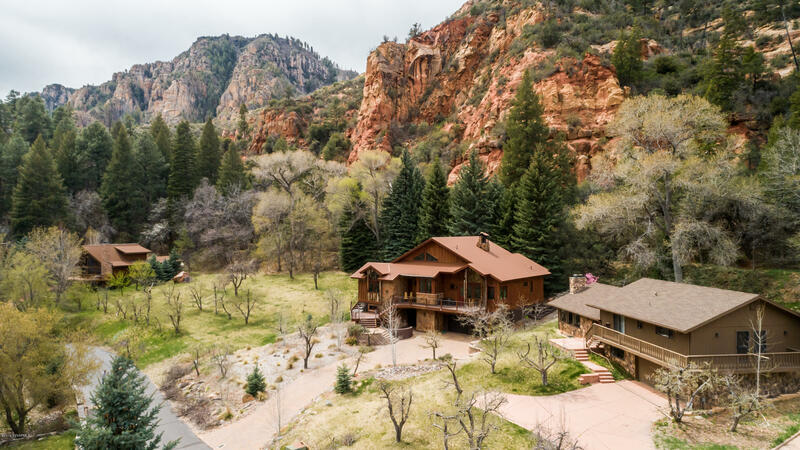 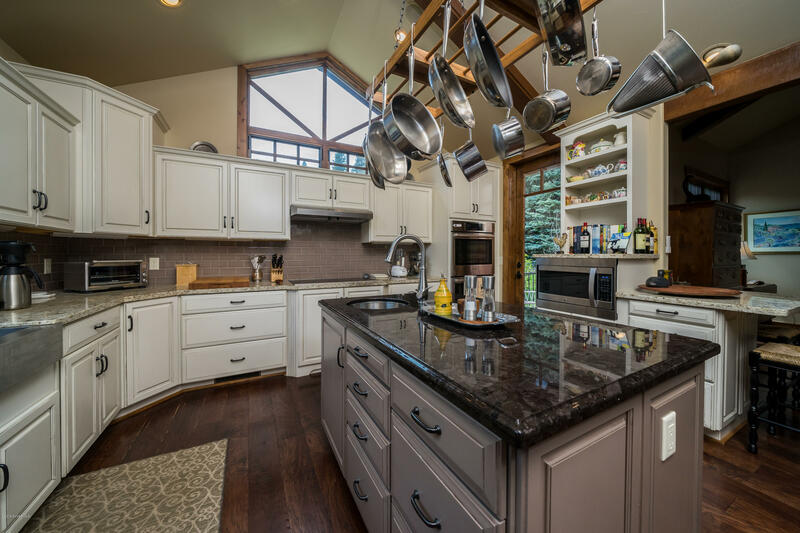 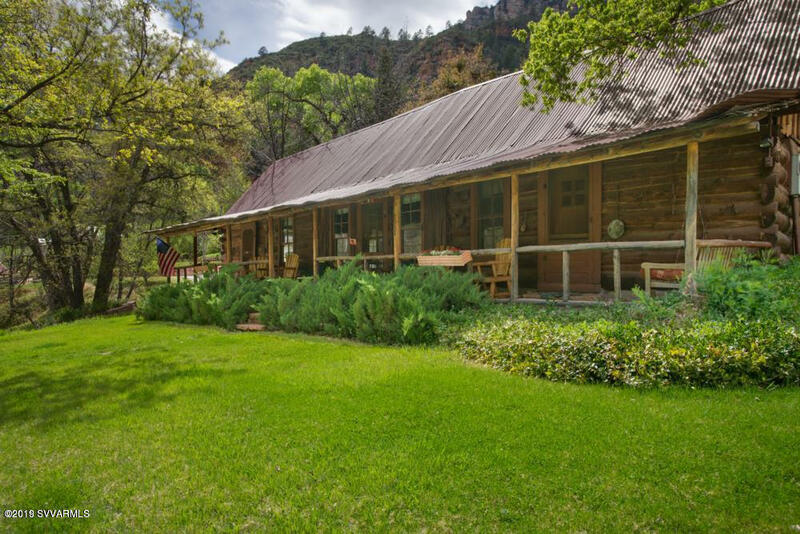 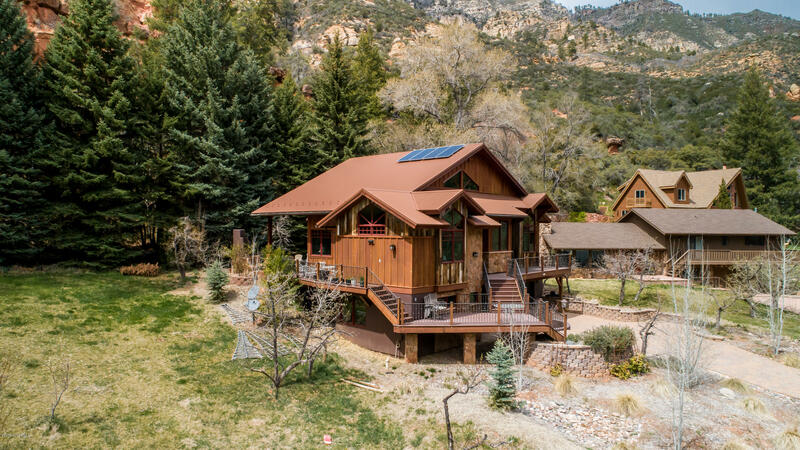 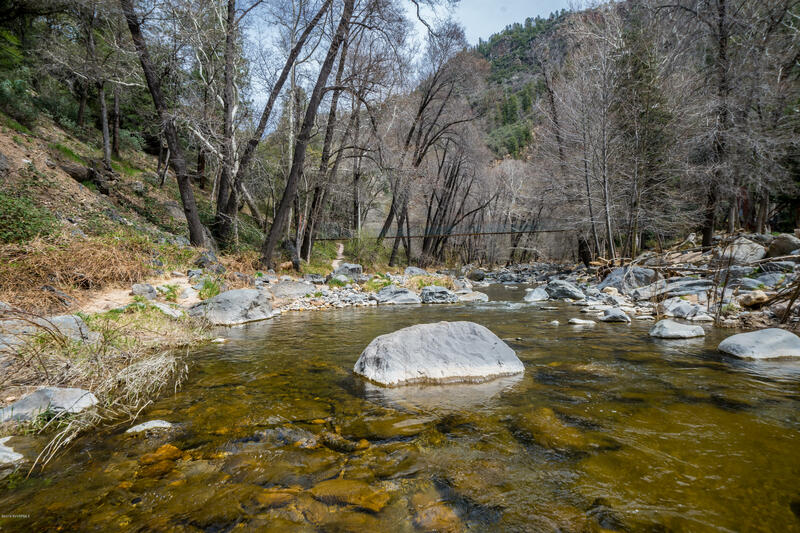 Perhaps one of the most private and spectacular estates in Oak Creek Canyon!